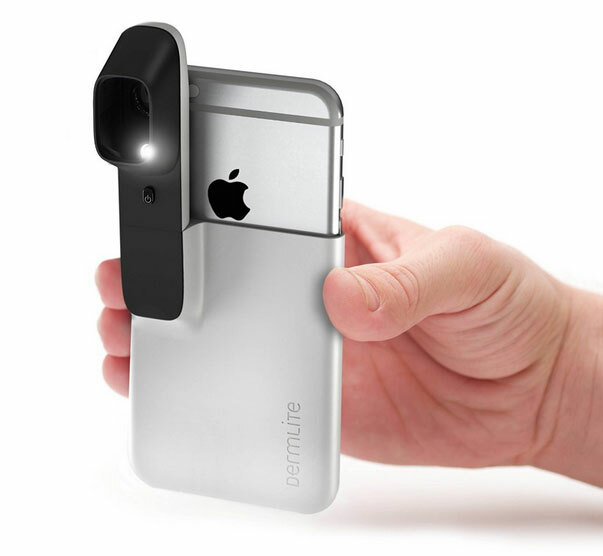 Meet the DermLite HUD: a smart skin scanner for your iPhone and other smartphones that helps you detect skin cancer early on. It comes with a slide-on case for your iPhone 6s and a universal holder for other phones, allowing you to capture clear photos of your skin. The device lets you track skin changes over time and share results with your dermatologist. The app provides you with info about skin cancer as well as reminders. Use this device to track moles or simply learn more about cancer. Costs under $80 at this time.